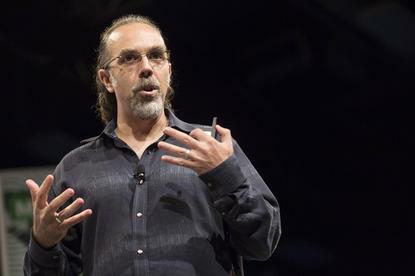 Astro Teller, Google's director of its research arm, GoogleX, was speaking to an audience at the South by Southwest conference in Austin on Tuesday when he said the company made mistakes with Glass. Google, according to Teller, needs to work out its wearable's battery and privacy issues, and address miscommunications about the state of the project. Google Glass, even when it was being sold to early testers for $1,500, was never close to being ready for official sale. It's a prototype and still solidly in the experimental phase. "The bad decision was that we allowed and sometimes even encouraged too much attention for the program," he said. "Instead of people seeing the Explorer devices as learning devices, Glass began to be talked about as if it were a fully baked consumer product. The device was being judged and evaluated in a very different context than we intended." "While we were hoping to learn more about how to make it better, people just wanted the product to be better straight away , and that led to some understandably disappointed Explorers," Teller said. While thousands of people bought Glass to become early adopters, or Explorers , the application ecosystem for the product didn't grow and the project became the target of jokes and waning interest. "It sounded reasonable to them to have an alpha testing program where, rather than paying the folks testing the product and keeping it secret, they got the testers to pay for the privilege in a kind of a Tom Sawyer scheme, and made the test public," said Rob Enderle, an analyst with the Enderle Group. "Now the product has to dig itself out of a hole that wouldn't have existed had they done the testing using traditional methods." "I can say that having experimented out in the open was painful at points, but it was still the right thing to do," he said. "We never would have learned all that we've learned without the Explorer program, and we needed that to inform the future of Glass and wearables in general." According to Teller, Google learned that it has to work out problems with the wearable's battery and with the privacy issues surrounding computerized eyeglasses that can take photos and short videos. After the company stopped selling the prototypes early this year, speculation swirled that Google was giving up on the project altogether. Google said that's not the case, and that Glass was pulled out of the spotlight to be retooled. The device also was moved from under the research umbrella of GoogleX and placed with its own team, much like the teams working on search and Android. "Google did screw up," said Zeus Kerravala, an analyst with ZK Research. "The way they talked about it led people to believe it was a finished off, polished product, which it's not. So by hyping it so much, they set expectations they could not meet." "Google had the sizzle, they just didn't have the steak," Kagan said. "This is a perfect example of a company believing their own PR and not paying any attention to the realities that make something hot... This is a very painful and embarrassing lesson for Google to learn. It's amazing that they haven't learned it yet." Kagan said he can't see Glass becoming a product anytime soon, but Kerravala said the device still has a good shot. "Oh, sure they can recover," Kerravala said. "They'll have to take a step back but... there's an expression that if you're not failing, you're not trying hard enough."